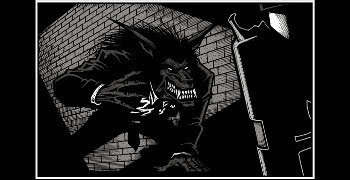 There's a great review of Wolfmen and The Fall Of The Wolfmen over at www.brokenfrontier.com. It's great that new readers are discovering these books and enjoying them. Invisible Man and WesterNoir update. Well, the machine that is Diamond Distribution has received orders from the stores for Missing - Have You Seen The Invisible Man ? and so comics should be hitting stores in the next week or so. It's a healthy number, for a small independent outfit like us, so thanks to everyone you went into their store to order a copy. Please let us know what you think of the book when you've read it. It's a great visual draw, thanks to everyone involved in its creation. pop over and see what Pat thinks of the latest book. 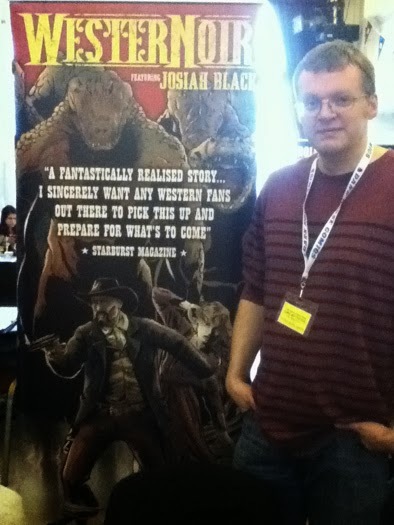 Gary Crutchley is busy finishing off Issue 4, which'll see print first thing in 2014. It'll be nice to start the year off with a bang. Following on from Robot Shorts, my collaboration with Steve Holder, will be a little book called From SuperZeroes To SuperHeroes and this time I'm collaborating with Seba Velez. It's my take on super-heroes I guess and won't be your typcial book of super-villains trying to take over the world and super-heroes stopping their evil plans... well... OK, it'll be a bit of that, but also it'll be a bit different. Seba and I are nearing the middle of book now and things are moving along very nicely. I finished greycaling a page of Seba's artwork this weekend, which I've sampled above, great stuff.